FOUNDER OF TIRUBAA TECHNOLOGIES PVT LTD.
Foundation of Tirubaa Technologies Private Limited is a culmination of his versatile and multifaceted experience of this background coupled with his tenures at Indiaâ€™s leading corporates. He has a rich, total experience of > 30years in office automation /IT and Telecom field in India and abroad. One of his earlier spells was in Hughes Telecom Ltd. as a Director Sales. Form those days, he has built and operated 5 companies from scratch till date, including organizations like HCL info Solutions in various senior capacities. He happens to be the first employee of Rs.450 Crore project of Reliance Telecommunications; he initiated their operations single handedly in the year 2000 for Maharashtra and Goa circle. In his last assignment in the same field and region, Milind has handled a turnover of Rs.600 Crores and a team of 500 professionals. 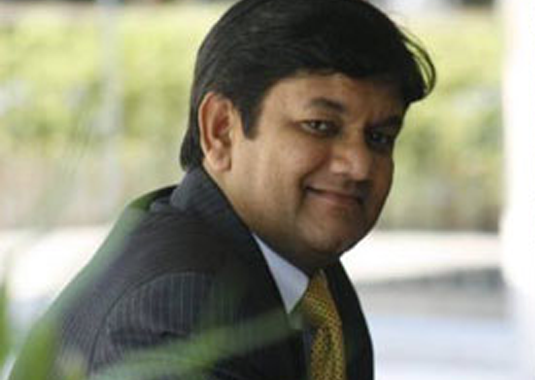 Milind was also the founder and Managing director of DSK digital technologies Pvt.Ltd, who pioneered in manufacturing the worldâ€™s first ever Solar powered notebook PC-along with green computing devices like Mobilis and Softcomp-which work on a 2 watt solar power consumption, chargeable with solar power. For this novel device he has appointed distributors in 12 countries. He has got special recognition for this innovative product at the hands of dignitaries like Pranab Mukherjee, P.Chidambaram, Kapil Sibbal, Dr.Raghunath Mashelkarand Dr.Vijay Bhatkar. The product is presently being evaluated at worldâ€™s leading laboratories. Electronics and Computer Software Exports council (ESC),New Delhi appointed him as a chairman of India soft 2011.-the mega exposition of Indian soft ware companies. This council is initiated by the ministry of Commerce, Government of India. It is a meet of 350 > software buyers from 75 countries with the Indian soft ware stalwarts. He is also the Regional vice President â€“west zone, of Computer society of India (CSI). He completed his commerce graduation from BMCC, Pune; continued his further education at Symbiosis institute of Business Management. On the professional front, he has completed important international courses like Certified Novell Engineer (CNE), e-business course of IBM,SAP3-Sales and distribution, Diploma in office automation. He has received his diversified trainings at INTEL, CISCO, Microsoft, Toshiba, RICOH, Samsung, OKI, ALLTELcorp.USA, Novella, USA .